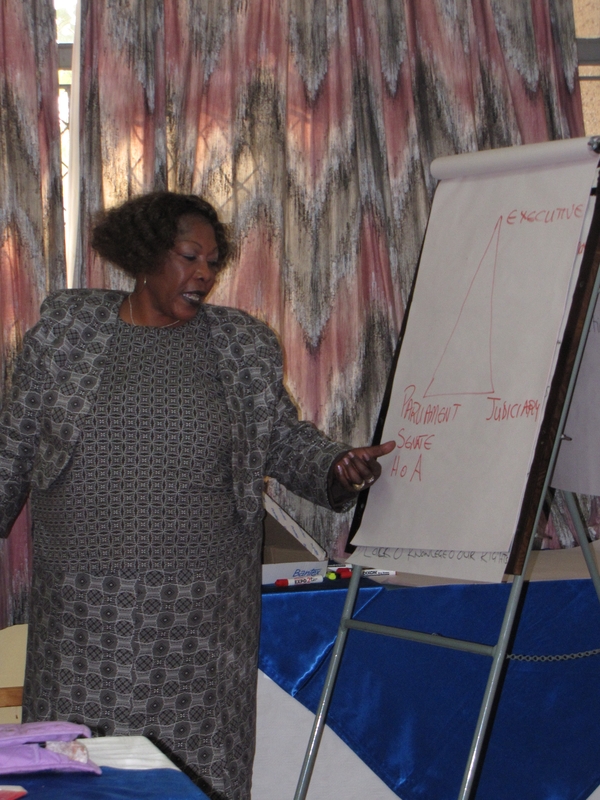 Fanny Chirisa is Director of the Women in Politics Support Unit (WiPSU) in Zimbabwe. The purpose of WiPSU is to increase women’s political participation in Zimbabwe, and strengthen the leadership capacities of women in elected office in Zimbabwe. WIPSU works with young women and university student leaders, women in local government (councilors), and women parliamentarians of all parties, and counts among its success stories several parliamentarians, councilors, mayors, and cabinet ministers. Fanny has led WiPSU for the last ten years. She works tirelessly and at great personal risk, to change the political culture and end political violence and intolerance in Zimbabwe, by promoting equity and accountability among public officials so that they become effective leaders. Because of its quality work and nonpartisan approach, WiPSU has gained the credibility of the community and thus has popular support to operate in Zimbabwe’s challenging environment. .
Fanny was the runner-up in the category Human Rights. Here her brother, Farayi, collects the award on her behalf and talks about the impact of her work.